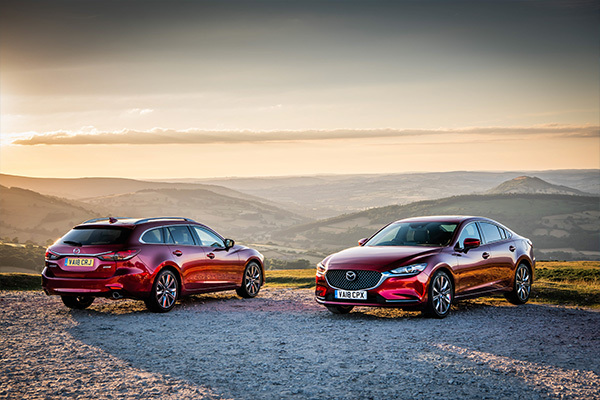 Mazda’s highly acclaimed Mazda6 Saloon and Tourer models have been upgraded with a host of updates designed to enhance driving enjoyment and improve refinement. 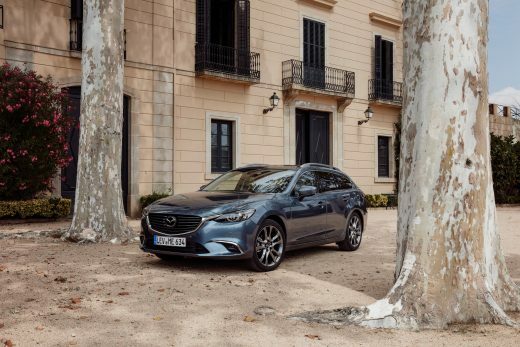 Highlights across the full Saloon and Tourer range include technology updates, interior improvements and the introduction of G-Vectoring Control. 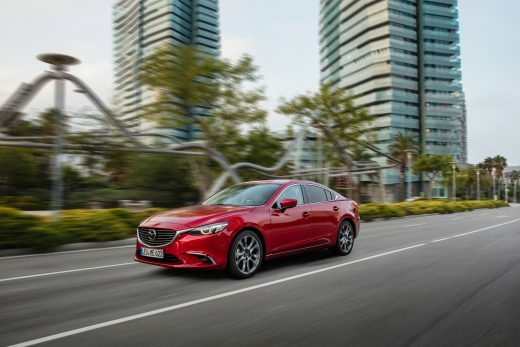 Already regarded as one of the best-handling and most engaging cars in its segment, the Mazda6’s dynamic setup has been refined with the introduction of G-Vectoring Control (GVC), the first application of Mazda’s new series of SKYACTIV-VEHICLE DYNAMICS technology. 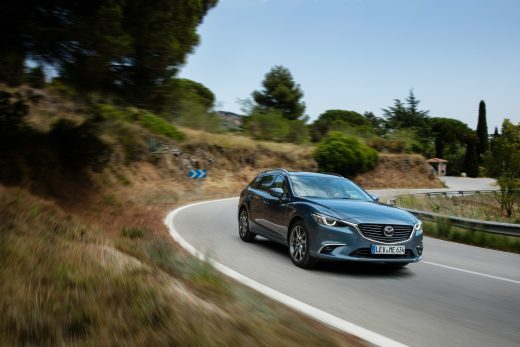 Utilising integrated control of the engine, transmission and chassis to enhance the connection between car and driver, GVC varies engine torque to optimise the load on each wheel. 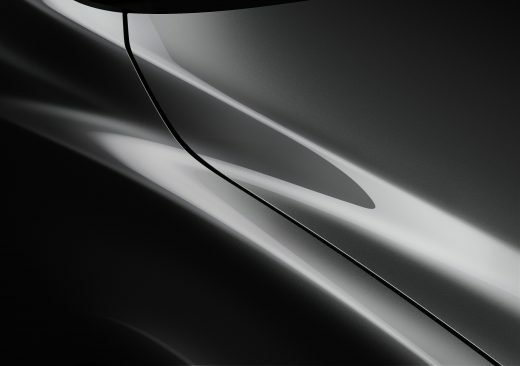 This ingenious and largely imperceptible system improves driver confidence, passenger comfort and vehicle handling via incredibly subtle manipulation of the powertrain. By monitoring steering and throttle position when you enter a corner under power, GVC momentarily reduces the amount of torque delivered to the front wheels, thereby transferring a fraction more weight onto the front axle which allows the front wheels to turn more precisely. 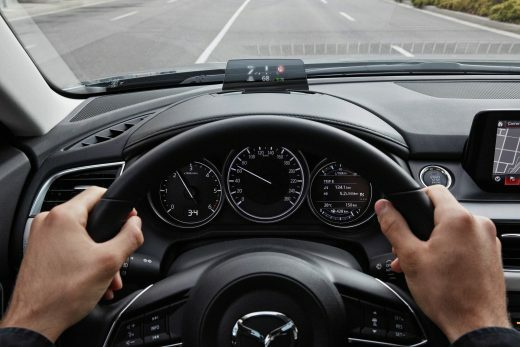 Even on a straight road, GVC can reduce driver fatigue and increase passenger comfort by cleverly taking away the perceived need for the tiny corrections that some drivers make when driving straight. In doing this GVC lowers driver effort and reduces the amount of head and body sway small steering corrections can create for passengers. 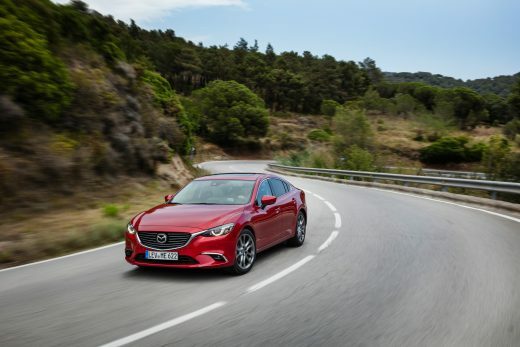 Retaining an unchanged engine line-up, the upgraded Mazda6 features a choice of four engines: 145ps and 165ps 2.0-litre SKYACTIV-G petrol, plus 2.2-litre 150ps and 175ps SKYACTIV-D diesels. 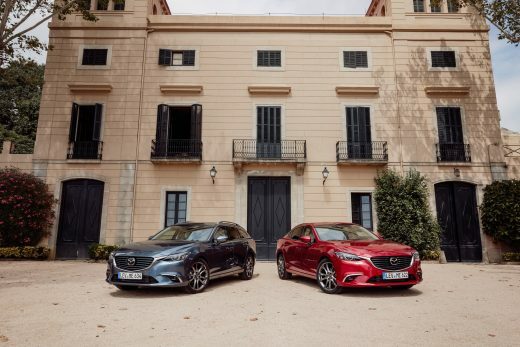 With diesel models accounting for around 75 per cent of UK sales, the 2.2-litre SKYACTIV-D engine features two key improvements designed to increase responsiveness and reduce engine noise: Transient Control and Mazda’s Natural Sound Smoother Technology (NSS). 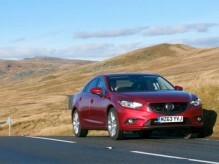 By reducing turbo lag and boosting torque, Transient Control provides a more positive throttle response, ensuring that the Mazda6’s diesel engine reacts better than ever to the driver’s intentions, while refinement has been enhanced thanks to the introduction of Mazda’s Natural Sound Smoother (NSS) technology. Designed to cleverly reduce diesel knock noise during starting and low-speed acceleration, NSS suppresses resonance from the piston and connecting rod by using a dynamic damper inside the piston pin to suppress the three critical frequency bands in which engine components typically vibrate most loudly. This increase in engine refinement is complimented by a comprehensive improvement in sound insulation, including the adoption of upgraded door seals, tighter tolerances between panels and sound deadening materials added to the underbody, rear console, headliner and doors, while laminated front side windows further suppress wind noise. 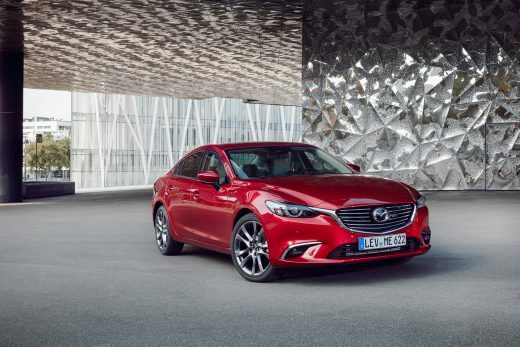 The Mazda6 is available in eight colours including Mazda’s new Machine Grey Metallic, which having starred on the all-new Mazda MX-5 RF at the 2016 New York Motor Show, goes into production on the Mazda6. 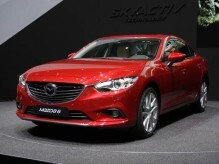 Inside, the revised Mazda6 features a new leather steering wheel that on Sport Nav models is heated. Other premium upgrades to range-topping Sport Nav models include an enhanced head up display that features colour and Traffic Sign Recognition (TSR) for the first time, plus electric memory seats that now also adjust the head-up display and a new colour TFT display dial. 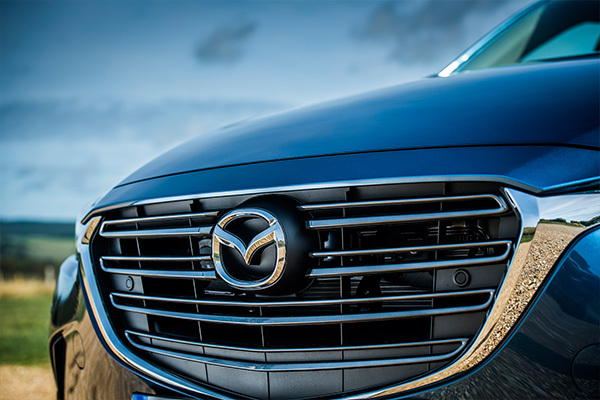 While from SE-L Nav models upwards auto power-folding mirrors are standard, and Mazda’s Smart City Brake Support (SCBS) low-speed collision mitigation braking now features pedestrian recognition. 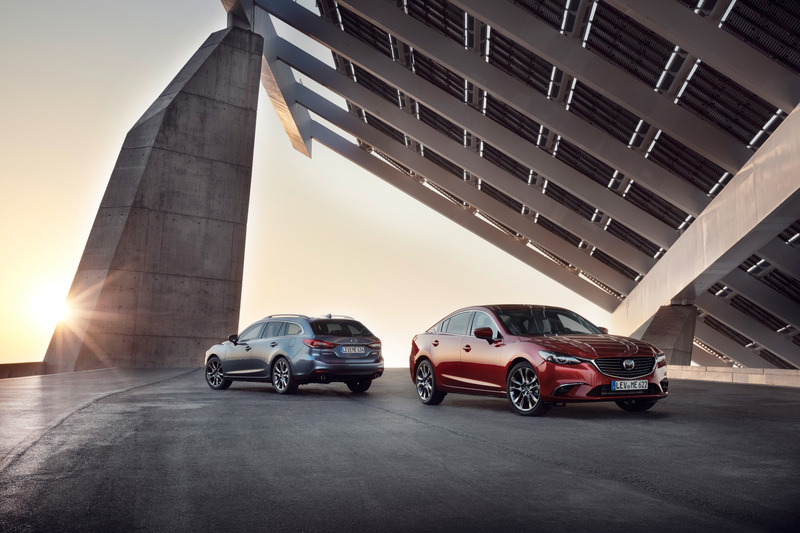 With cars arriving in dealerships later this autumn and pricing remaining unchanged, the Mazda6’s enhancements come at no extra cost and are set to reaffirm Mazda’s position at the forefront of this competitive sector.